I’m showing off the rope Mark gave me as an unselfish gift, thank you Mark. Thank you to all those who give of themselves, you will not go unnoticed or appreciated. After having had the opportunity to serve so many people and work with many others, I must say that I love this business. What a blessing it is to not only be beautifying the world by tending to nature, but also the joy that I get from truly helping people. Many times we take for granted the people around us, especially family, fellow workers and oft times clients. Our goal as a company and service organization is to focus on the needs of the people. Sometimes the needs are business related, other times not. With skills, talents and blessings, I feel we have a duty to share those gifts with others in a way that all are built up. This week was one of those times when I began to focus on my self a bit too much. The minute my focus changed to who can we help, doors began to open for other opportunities. I may have found a couple of key people who can help build our company. Not what I was expecting as we installed a new kitchen faucet for someone who was not financially prepared tochane out a leaky, destructive faucet. Recently I was fortunate enough to attend the Indiana Arborist Association’s annual fund raising golf tourney. I met some incredible people there, and may have made a couple long term friends. One man in particular gave me a gift in a way that almost left me in tears of gratitude. They held a raffle and a man named Mark won a new climbing rope, one with a sewn eye, for attaching the rope to gear without a knot. 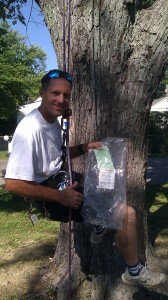 I have been wanting one since I started climbing trees. I asked Mark if he wanted to sell the rope and he kind of shrugged his shoulders. Afterwards, I went looking for him and found the rope sitting on the seat where he had been. As I stood there drueling on the rope, Mark asked me if I was serious about buying the rope. I said I was, and hr then asked who I worked for. After telling him about our little company and that we had just gotten started he looked the rope over and handed it to me saying, “happy getting started.” I just about died, not believing what just happened. I asked if he was serious, he ssaid yes, and I almost hugged him. Just an example to show that there are great generous people out there still. That rope and the feelings I have, will carry me forward in the search to help and serve others as we go forward. Tree removal and tree trimming are fields of work in which you would not expect to have people be the greatest part. I have found differently, people make the business. After being paid by a client, she remarked that it is worth a lot to have someone looking out for your best interests. That is called value, unseen value, to know that your best interests are held in highest regards when doing business with others. Do what is right, let the consequence follow. Feeling down, climb a tree! Such a small pile of chips, the client was surprised. This is what I arrived to, just an average to small pile in my opinion> Upon arrival to client’s home, I found the small pile to the left. The client had expressed concern that I would be charging much more due to the size and therefore time required to chip it. My estimation based on his description of the pile and mulberry tree from which it was cut, we would spend about 30 minutes, with a price of 60 dollars. What a deal. He asked that chips be dumped on the property, what great joy for me. 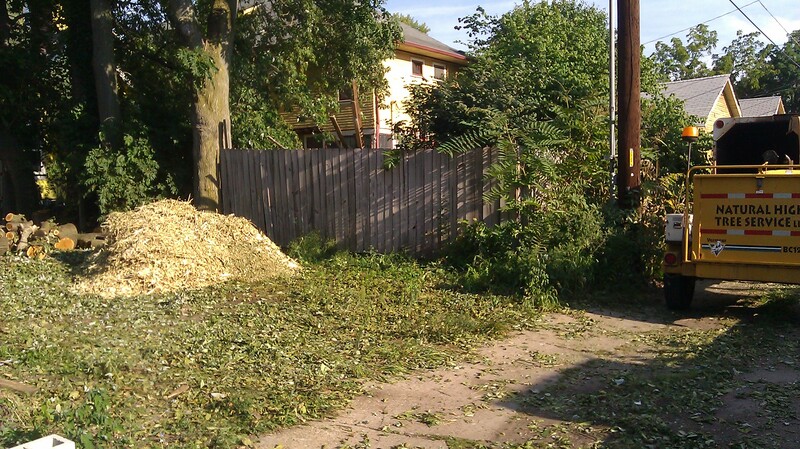 Brush chipping is a great way to convert a large pile of branches or brush into a mulch like pile or load. In doing so, we are able to utilize the mulch for other areas of our yards, to beautify or enhance landscaping, or simply to take up less space during transport of debris. I truly enjoy the process of chipping branches and in some cases, complete trees, depending on the size of the chipper being used. 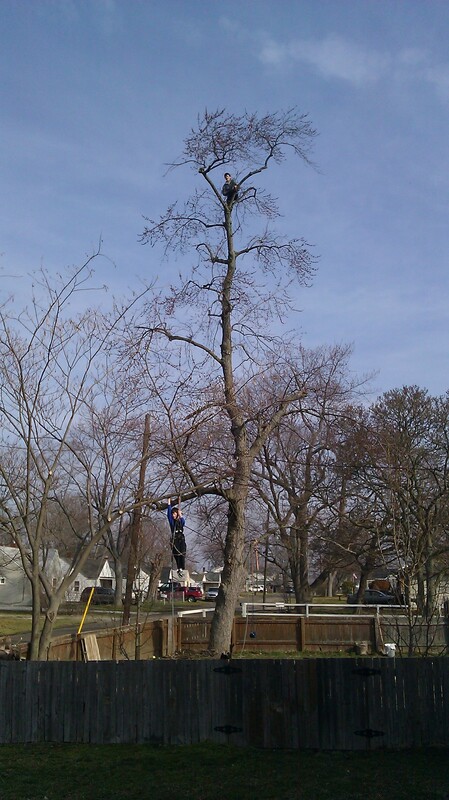 Tree removal almost always includes some chipping as large quantities of smaller branches need to be hauled. Tree trimming leaves only smaller branches needing disposal of some form. Owning a chipper truck, an enclosed dump box equipped truck, has changed my life drastically. Previously, unloading the trailer or truck by hand had become so dreadful, it seemed that I repelled tree work so that we would not have to unload. Now, unloading takes the push of a button, how sweet. Hello again, today I’d like to talk about the topic of tree removal versus trimming or topping. First of all tree removal should be a decision made after much thought. Why are you contemplating removing one of these necessary allies of humans? Trees do so much for us in ways we tend to take for granted, first, they convert our exhaled air into good filtered oxygen. This alone should be reason enough for us to care most thoughtfully for our trees. We depend on trees for so many of our daily activities, not the least of is major league baseball, using the wood of the white ash. Other daily uses of wood include chairs, tables, pool sticks, cabinets, floors, the list is endless. Why do you want to remove the tree? There are a few reasons that warrent complete removal. Top of the list would be dangerous situations like dead branches that may injure either property or people. I notice this situation being ignored much too often. Very dangerous dead wood hanging perilously from the dead tops of trees is a much too common sight. When approaching a resident about helping them remove the danger, I’m met often times with a look of, “you are just trying to make a quick buck”, when they should be willing and actively seeking help to make their property more safe. The last couple of dry years here in Indianapolis have seriously taken their tolls on our urban forest. Get out and inspect your trees, and if you don’t know what you are looking at, call a professional. The true professional will be willing and desirous of helping you spot and cure any problems. 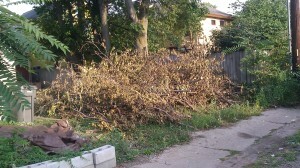 Second reason for tree removal would be a tree that is just too big for the space in which it lives. This may be due to new structures having been built, having been planted too close to structures, roots that thru time, are now destroying walkways, foundations, roofs, etc. When a client asks for topping of a tree, my first question is why? Usually the client has decided that the tree is just too big, and is afraid that the taller a tree gets, the more dangerous it becomes. Truly the opposite may be said of a solid, healthy tree. Different species of trees have genetics like we do that will determine shape, age, and size. It will never grow larger than its species allows. If the tree is too big, remove it and replace it with a tree of smaller demensions, that more properly fits the area where you plant it. The third reason would be health, or condition of the tree and its ability to provide nourishment all the way to the top of its crown. Like the ash tree of late, it may be an insect problem, the EAB(EMERALD ASH BORER), termites, ants or a number of little critters that have decided to make the tree home. Be aware of treatments, many of which may harm your tree, or are being administered too late when in fact, the tree is already dieing. Virus is another culprit of poor tree health, as is fungus, and one I’ve noticed as of late, climbing vines. Theses sneaky, almost beautiful plants are deadly. In some dead trees, the vineage covers the skeleton in such a way as to leave the tree almost alive looking. Appearance may be the other reason for choosing to remove a tree. Location may be considered an aspect of appearance. An example would be a tree that is planted squarely in front of the entrance to an office. It would leave the building Lifeless, faceless and therefore downgrading the value and change the approachability of the office. 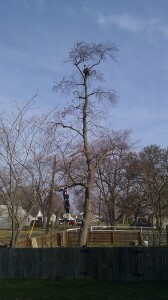 In many cases trimming or pruning is a great alternative to tree removal. With the removal of dead wood, trees may regain strength and fill in over the following two or three seasons. Pruning whil the rree is young may be the best solution. Find an arborist you are comfortable with and partner with them to keep your trees and shrubs growing in a way that will keep your property and trees looking and feeling great. I swear I’ve heard trees whispering, THANK YOU, to me while trimming them. It makes me feel great and satisfied to clean up and prune a tree, leaving it knowing how to grow. We have the ability to train our trees if we begin early enough. Start now! 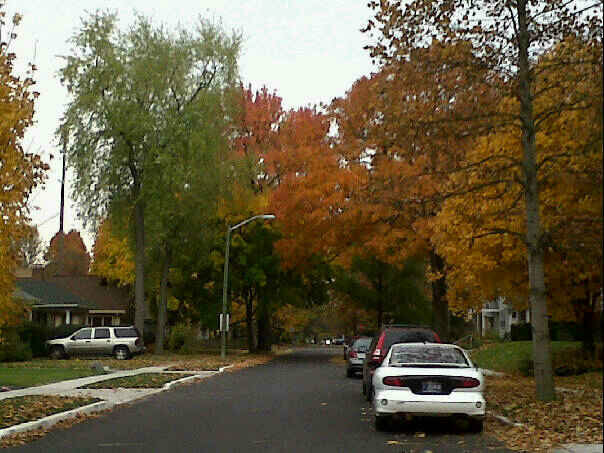 Indianapolis is full of very large, old mature trees, and among those incredible trees are many that have degraded both in health and agreeability to their place of inhabitance. Sometimes the best option really is to cut down a tree due to one or more of these reasons. When doing so, find a professional like our arborists to assist you in removing that tree in a professional, careful way so as to impact your property in the most friendly way. CALL NOW FOR A FREE CONSULTATION, Leave a comment and we will get with you immediately. Hello everyone, wanted to welcome you to the new site of NHTS, (NATURAL HIGH TREE SERVICE, LLC). We are thrilled that you have stopped in. We are learning a lot when it comes to website design. Please give us your address and contact information. We will be out as soon as possible.